It seems that many of us enjoy our “small but mighty” steeds. Perhas you might enjoy meeting a few of the Shining Stars both old and new who keep up with the big boys (and girls). 1) Grand Prix Dressage: Seldom Seen, trained and ridden by Lendon Gray. 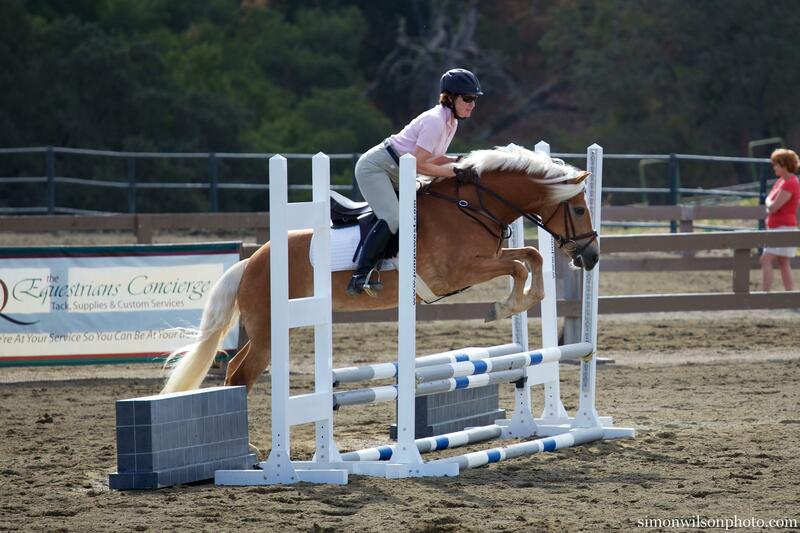 This 14.2 hd Connemara/TB cross began with Ms. Gray in Eventing, but they soon switched careers to Dressage. Seldom Seen was the first horse she trained all the way to Grand Prix and he won nationally, then she took him to Europe where he acquitted himself well, too. 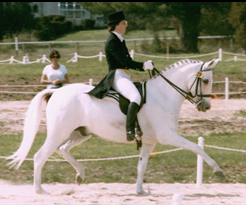 In the USA he faced a fair amount of Pony Prejudice, especially earlier in his career, as people were not used to seeing smaller horses compete in dressage. 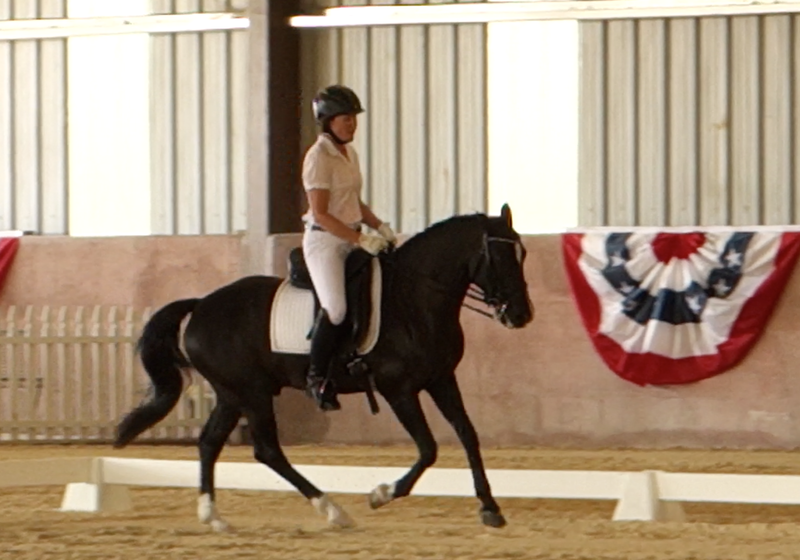 Those of us with petite mounts say, “Thank you!” to Lendon and Seldom Seen for being ground breakers in the dressage pony movement here in this country! And a wonderful video of his retirement dance with his rider, well worth watching. New Forest Pony, and half-sister to my own Finn, I have to put her on this list. She’s an eventing powerhouse, partnering with Sinead Halpin and currently competing at the Intermediate level in CIC2* events! 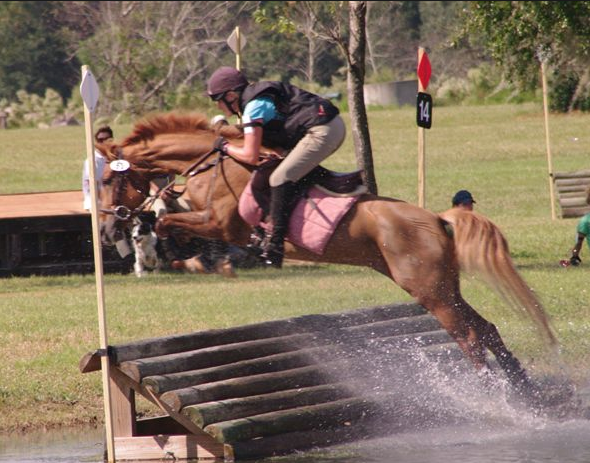 Those jumps are BIG (3’9″ cross country, 3’11” stadium), especially when your horse is only 14.3 hds. Watch the red head fly over jumps in this video – the girl has Springs! 3) Grand Prix Dressage: North Forks Brenin Cardi, trained and ridden by Jessica Wisdom is a spectacular Welsh Cob stallion (14.3 hds) whose career I’ve followed with interest for quite some time. It’s a pleasure to watch him move. 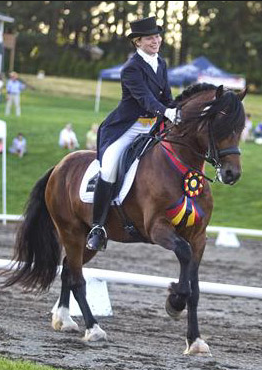 In 2014 he won the National Dressage GP Freestyle Final with a score of 71.375%. Check out the ride, it’s wonderful! faces each and every day that we get to be with them. Thank you, we are grateful! In the last some years, each horse I’ve bought has been smaller than the one before. I’ve owned, loved, and enjoyed horses as large as 17 hands, but my current horses are two wonderful and athletic 14.1 hand ponies. Sports Cars of the horse world! They’re agile, athletic, generally sound and healthy, intelligent, trainable, adorable, have Personality Plus, and are fun, fun, fun! 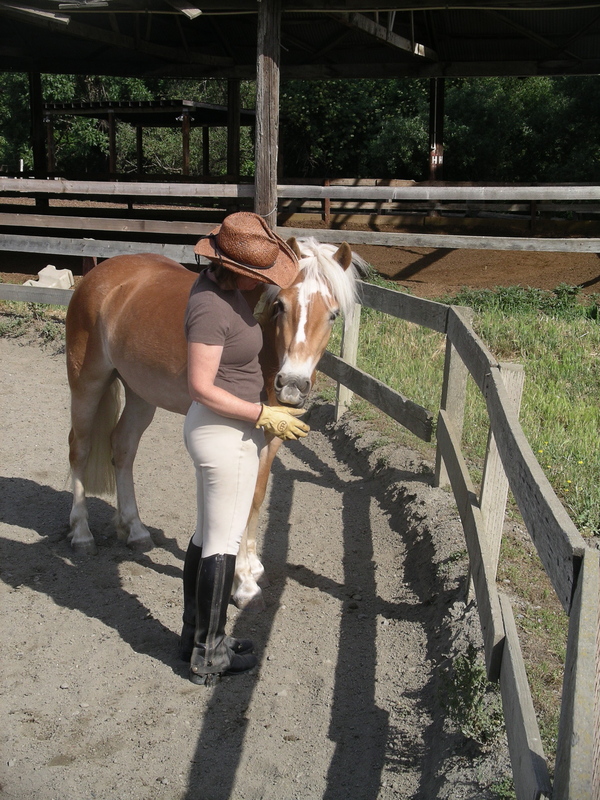 At 5’6″ my legs hang a little long on them, but as long as I keep my weight within bounds, they carry me very comfortably and competitively in dressage, over fences, and down the trail. Ponies can WIN against the big horses and will always have a fan club because they have such charm and panache. They’re smaller and closer to the ground, which is good in every way. Easier to get the saddle on and off. You can see to brush the top of the horse. You can get the halter/bridle on easily. No giraffes! Spooks and antics tend to be less terrifying. However, be advised that some ponies can be very quick, athletic and catty in their movement, so take them seriously. Usually easier to handle on the ground with some decent training (just smaller, so that makes it easier). Require less feed – much less expensive to feed. 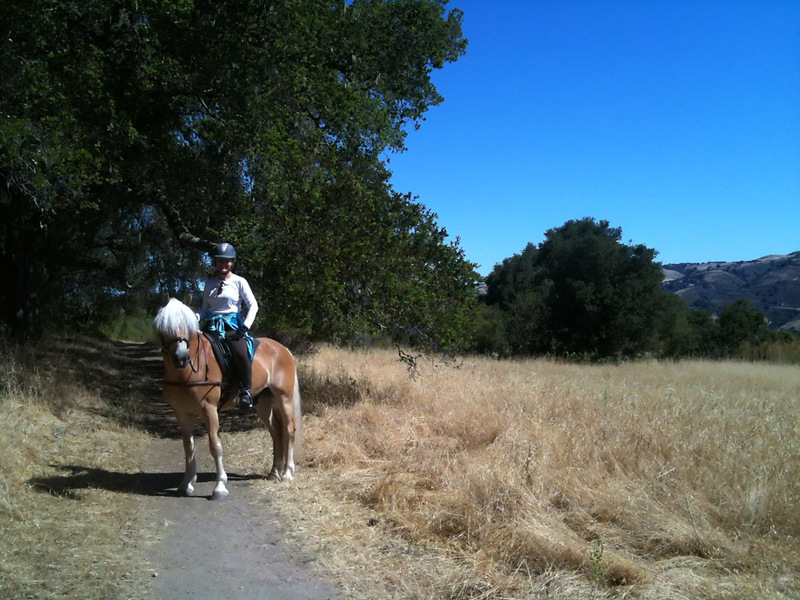 Sometimes, riding my ponies or just being with them makes me feel like a little girl again (and a happy one, too). So maybe Ponies are the Fountain of Youth? I kind of think so. 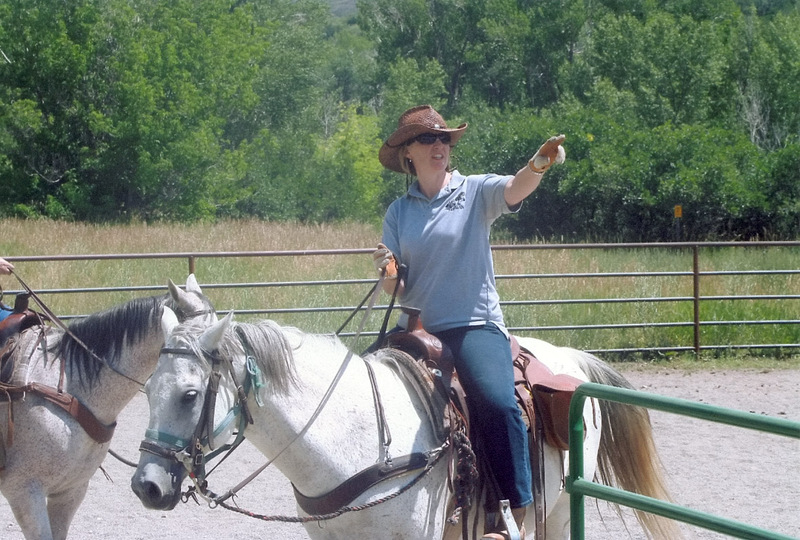 My renewed love affair with ponies began at a dude ranch with Ruger, the Quarter Pony. Here we are about to cut some cows!